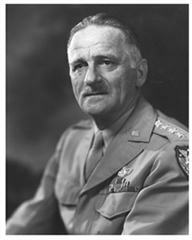 Carl Andrew Spaatz is Boyertown’s most famous son and on of America’s real heroes. He was born in Boyertown, PA, graduated from Boyertown High School in 1906 at the age of 14 and from West Point Military Academy in 1914. During World War I and between the two world wars, Spaatz had a number of important accomplishments; but they pale by comparison to his significance in helping the Allies defeat the Nazis, as Commander in charge if the Allied Air War. This rural Boyertown man worked as an equal planning strategies to win World War II with Dwight Eisenhower, Franklin Roosevelt and Winston Churchill; and they listened to him! Following the war, he was one of the chief forces behind the creation of the United States Air Force and its first Chief of Staff. CLASSES ARE FULL! There will be no additional registrations taken at this time.